Happy Monday Everyone! I'm here with a fall makeup post. I'm wearing a great vampy lip from Ofra Cosmetics. It comes in liquid lipstick form which is an absolutely favorite of mine lately. Check it out! I decided to keep the eyes simple since I knew I would do a bold lip. Just a bit of brown liner on the top of bottom and neutrals shadows on the lids. I applied a bit more coverage on the face because when you have a bold lip you want to make sure that the rest of the face matches. 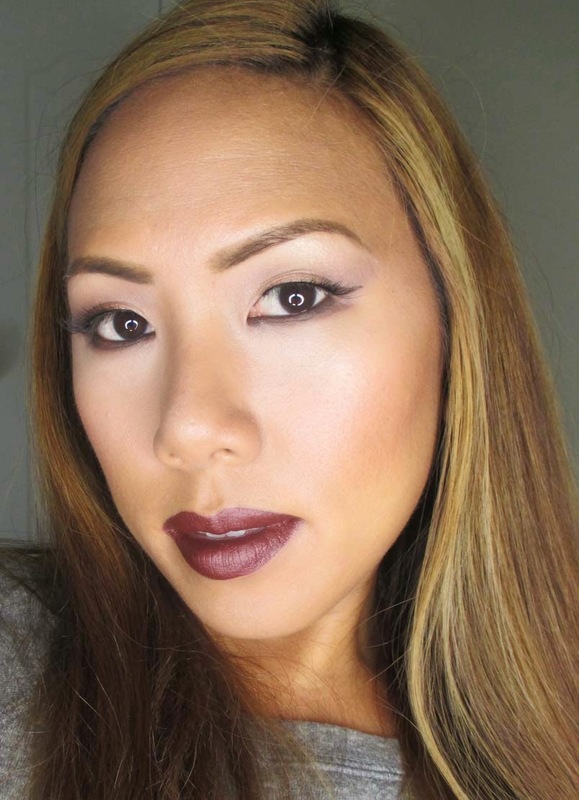 The focus on this look are their burgundy lips using Ofra Long Lasting Liquid Lipstick in Honolulou. 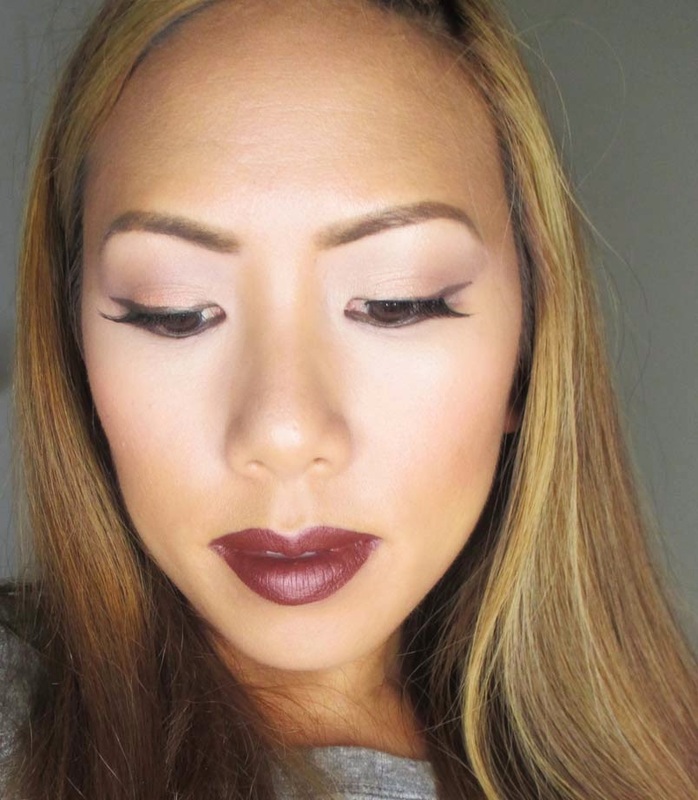 It's a gorgeous brow based burgundy that has a matte finish. I don't need liner because this lip is more of a creme state that can be precisely applied with the doe foot applicator.